Haidong Gumdo. A Korean Martial art rich in culture and discipline. What is Haidong Gumdo? Haidong Gumdo is a traditional Korean sword martial art. That has been established by Grandmaster and President Jeong-Ho Kim in 1982. President Kim started sword training in 1961 at the Cheoln Temple in the Gwanahk mountains. In the year of 1982 president Kim began spreading the sword art he had inherited to the world, under the name of Haidong Gumdo. 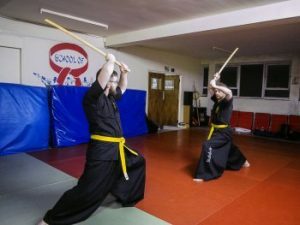 Haidong Gumdo can be enjoyed and practiced by anyone. It has a lot of benefits for a modern society and busy lifestyles. It is the perfect martial art for character development, discipline and offers a full body workout. 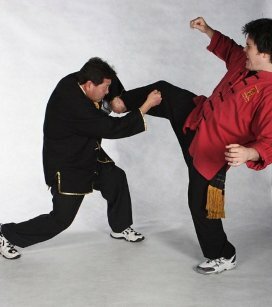 A traditional martial art which is deep in culture and follows a creed of integrity. Spirit – Loyalty, Filial Piety, Propriety, Justice. Mind – Courage, Judgement, Respect, Temperance. Body – Power, Speed, Balance, Sweat. Cheong Yong Dojang is run and owned by instrtuctor, R. Jones a 1st Dan Black Belt of Haidon Gumdo. Her Dan grade was achieved training under Chief Master of USA Haidong Gumdo Association Robert Fankovitch. She has since moved to England and now trains under United kingdom master Harry Limer in Cheltenham Spa. Instructor Jones is registered with the NAKMAS National Governing Body and is certified on the NAKMAS National Black Belt Register. As you would expect instructor Jones is an accredited first aider and has the necessary government clearance (DBS clearance) to work with children and vulnerable people. You are in safe hands! Cheong Yong Dojang is a part of Triumph Martial Arts, which is owned and run by Master Harry Limer. A part of the NAKMAS group. 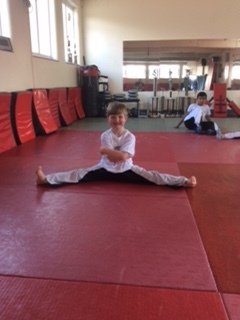 To find out more about Triumph Martial Arts or for general enquries regarding Triumph Martial Arts, please visit our link below. We teach children from the age of 8 years of age upwards and all abilities are welcome to our friendly school.